Global thought-leaders and sustainability practitioners come together in Kuala Lumpur for a collective conversation on purpose and the resurgence of purpose, its role on strategic corporate agendas and how this is driving the transition from linear to circular economies. Hear from experts on risks, challenges and opportunities, and innovations in these areas that are shaping the rethinking of business models and the redesigning of product and service offerings in this fast changing economy. 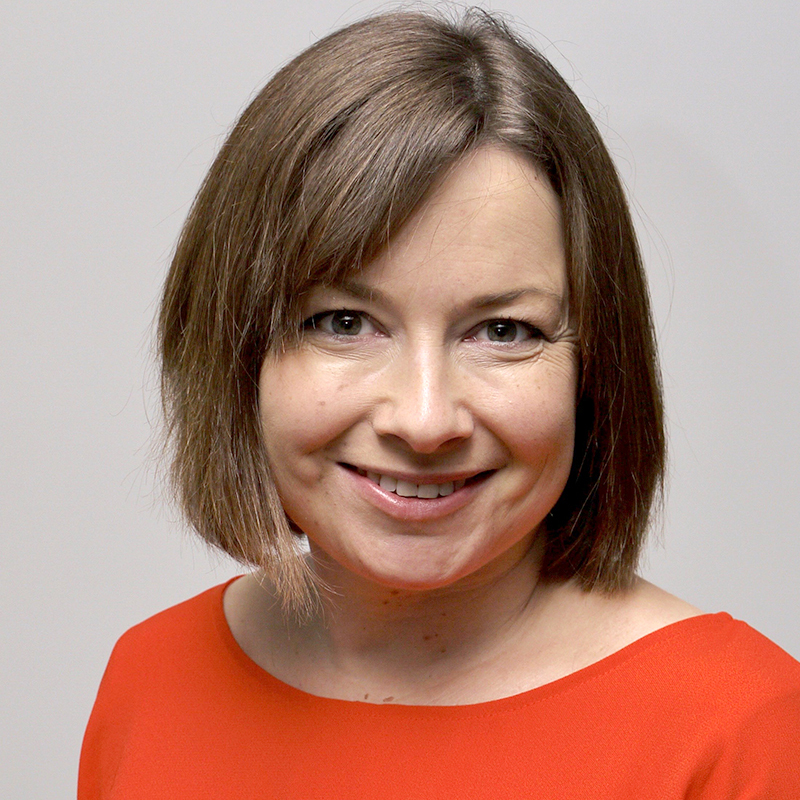 Sally is Chief Executive at Forum for the Future with overall responsibility for delivering Forum’s mission to accelerate a big shift towards a sustainable future by catalysing transformational change in global systems. This involves working with leading global organisations, including businesses such as Unilever and Kingfisher, and Foundations, such as the C&A Foundation, both in one-to-one partnerships, and also as part of multi-stakeholder collaborations designed to address complex challenges in systems as diverse as food, energy, apparel and shipping. Sally is currently directly involved in a number of projects including Net Positive, a coalition of seventeen leading businesses, all working to define the next wave of corporate sustainability; Cotton 2040, a multi-stakeholder collaboration designed to accelerate the mainstreaming of sustainable cotton; and Tea 2030, a global project focusing on a number of innovation platforms intended to deliver a sustainable global tea industry. A key part of Sally’s role is inspiring and equipping people and organisations to deliver systemic change for sustainability through regularly speaking at international and national conferences and also writing for a range of publications, with recent articles in the New Statesman, Huffington Post and Management Today. 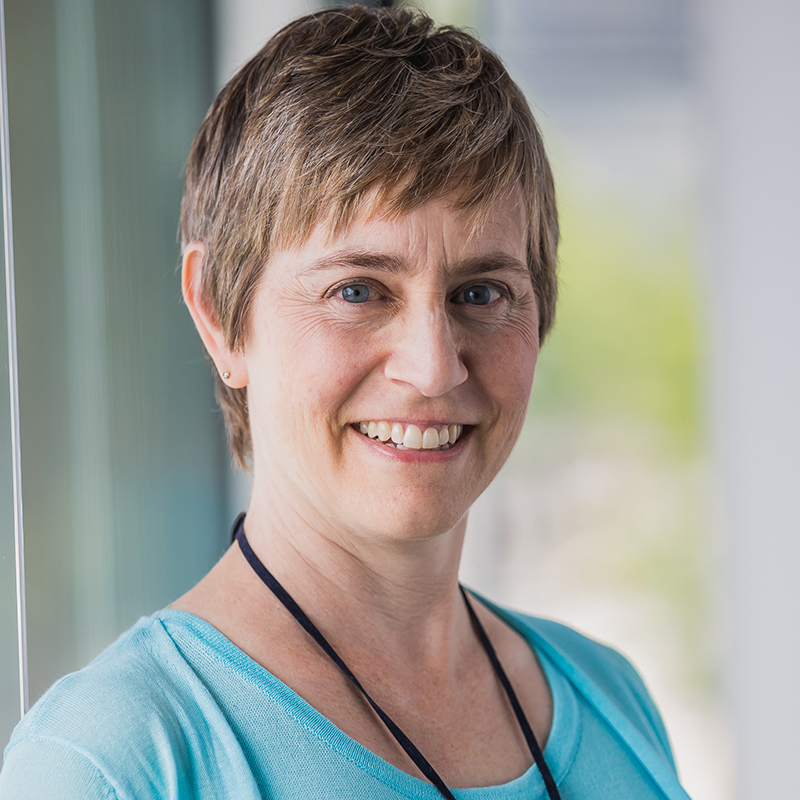 Sally is also helping build Forum’s new School of System Change where we are building a global community of change agents to accelerate our progress towards a sustainable future. Sally acts as independent advisor on Advisory Boards for several global businesses, including Kimberly Clark and Burberry. 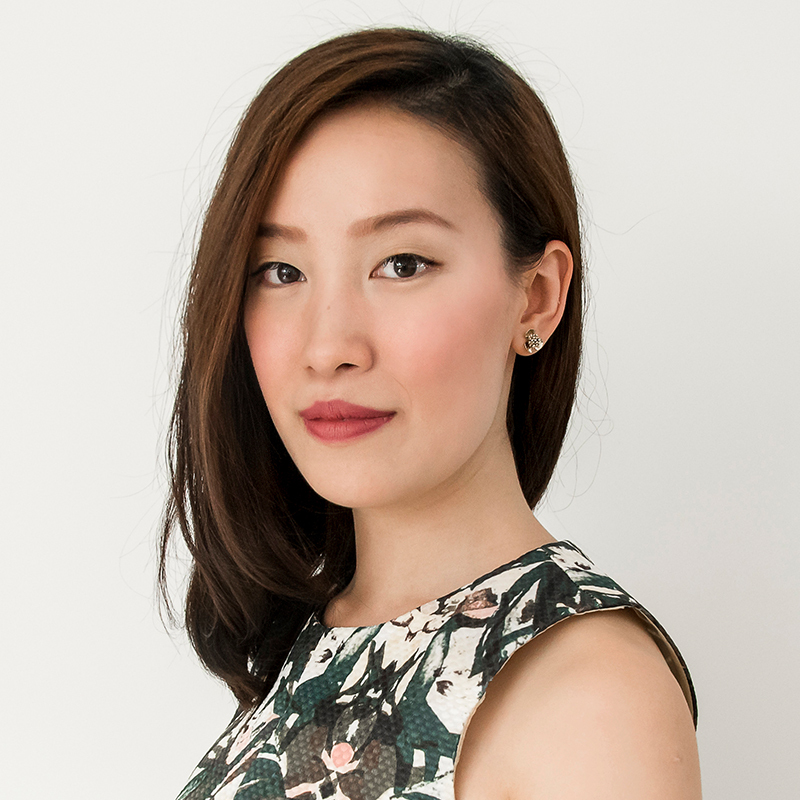 She is also Chair of the Advisory Board overseeing Forum for the Future’s growing operations in the US and an Advisory Board member for Sustainable Brands. She also acts as a judge for a number of sustainability award schemes, including the Queens Award for Sustainable Development. In December 2017 Sally received an OBE in the Queen’s New Years Honours List for services to sustainability in business. Forum for the Future is one of the world’s leading sustainability non-profits. For over 20 years we’ve been working in partnership with business, governments and civil society to accelerate the shift toward a sustainable future. We specialise in addressing critical global challenges by catalysing change in key systems, from food to apparel, energy to shipping. We do this by convening transformational collaborations to drive change, by partnering with organisations to help them lead by example, and by building a global community of pioneers and change makers. Together we are reinventing the way the world works. Find out more at www.forumforthefuture.org or by following @Forum4theFuture on Twitter. 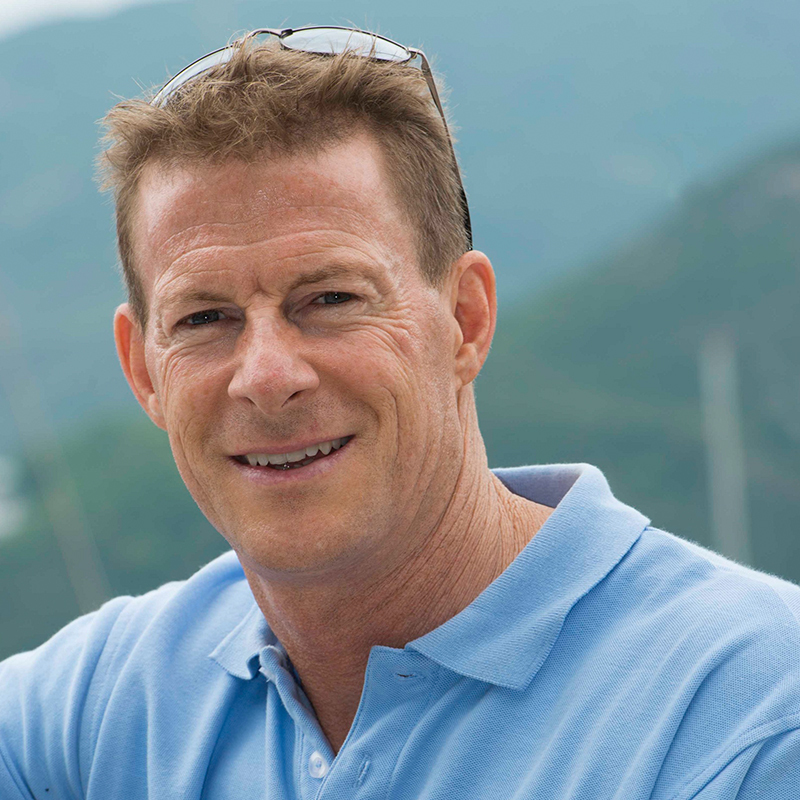 Douglas is the Founder and Managing Director of Ocean Recovery Alliance, a non-profit organization which is focused on bringing together innovative solutions, technology, collaborations and policy to create positive improvements for the health of the ocean. Two of its global programs were launched at the Clinton Global Initiative, and he was recently awarded the 2018 Prince’s Prize for Innovative Philanthropy in Monaco. He is a UN Climate Hero, and Google Earth Hero for his efforts, and has been on the advisory board of the XPrize, and The Economist’s World Oceans Summit. Ocean Recovery Alliance is one of the first NGOs to have worked with both UNEP and the World Bank on plastic pollution issues, and is the founder of the Plasticity Forum which focuses on plastic innovation and solutions for circularity. Douglas has worked in Asia for over 25 years, including four years in the asset management industry, where at Merrill Lynch Asset Management Hong Kong in 1998, he proposed the company’s first global environmental technology fund. He has also been nominated three times as World Open Water Swimmer of the Year for his innovative contributions to the sport. 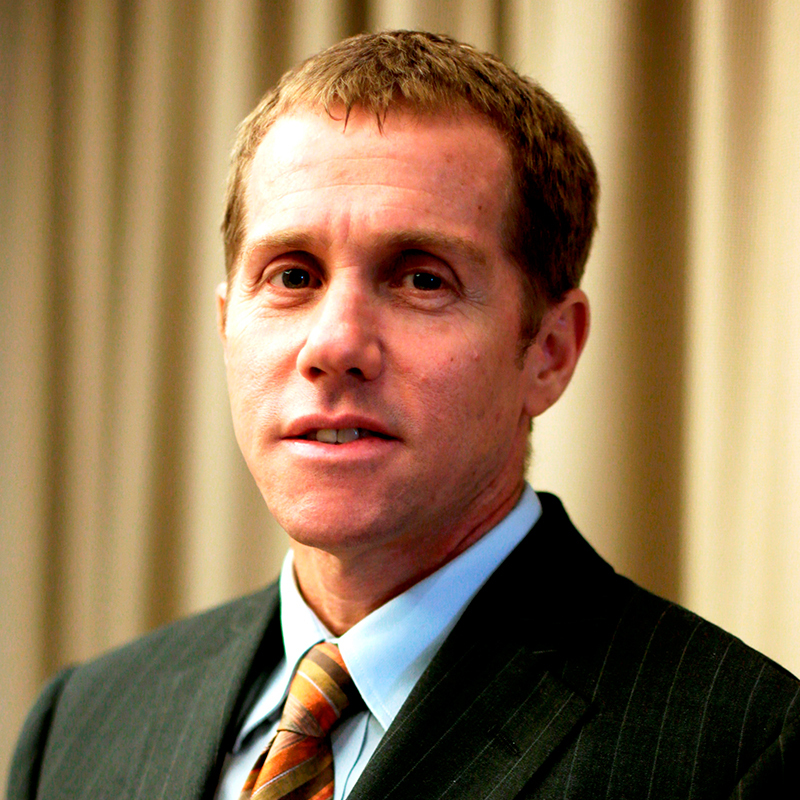 Born in Northern California, Mr. Woodring has a dual master’s degree from The Wharton School (MBA) and Johns Hopkins University, School of Advanced International Studies (SAIS) in Environmental Economics. He has BA from the University of California at Berkeley. Ocean Recovery Alliance is an NGO focused on creating innovative solutions and collaborations to improve the health of the ocean. Its network of organizations, entrepreneurs and innovators, particularly related to plastic sustainability and circularity, but also for broad ocean governance and new thought leadership, helps create engaged and active dialogue where gaps often occur between entities that often do not have a history of working with one another. It is these new partnerships and forms of collaborative participation that lead to scalable opportunities for new success stories and replication. Current projections for an increase of plastic packaging by 40% in the next 10 years require strategic thinking on the part of business, advocacy, and sustainable community. Much of this will pollute the already stressed aquatic environments and vulnerable communities. In order to prevent the continuous increase in plastic waste generation, solutions are critical that focus on true source reduction. This panel will explore several different sectors in the plastics supply chain – the ocean science, landscape in emerging markets, current projections and solutions at the systems thinking and institutional levels. Ralph Dixon is the Director of Environmental Investments at YTL Corporation Berhad, one of the top 30 companies listed on the Malaysian stock exchange. The YTL Group’s core businesses are ownership and management of regulated utilities and other infrastructure assets. YTL serves more than 12 million customers in three continents. 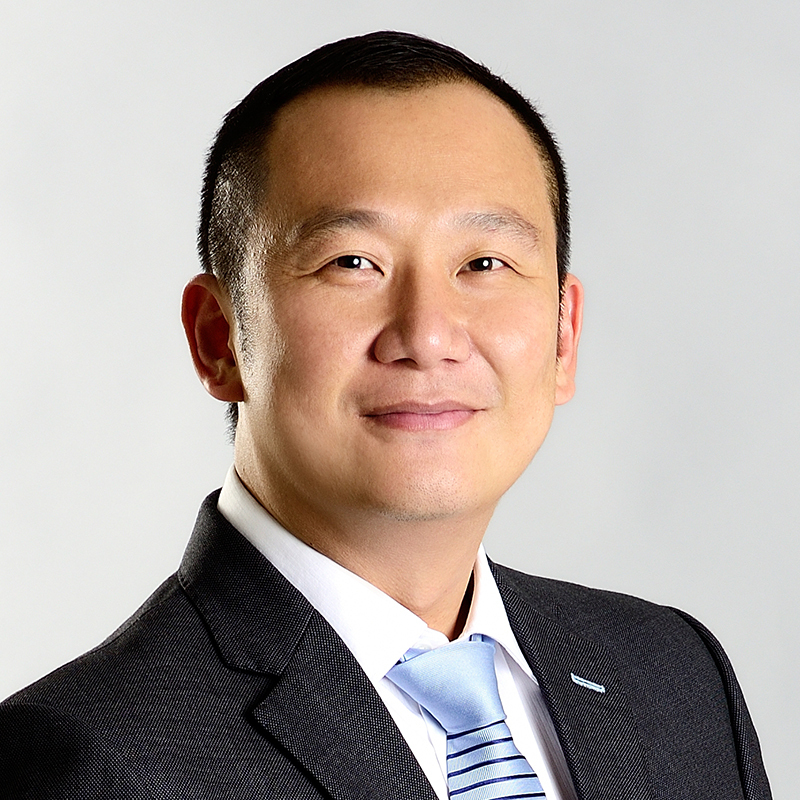 Ralph has been with YTL for more than ten years, and is also the CEO of their carbon consulting subsidiary (YTL-SV Carbon) and managing the environmental investment and sustainability divisions for the Group. Ralph is a Trustee and Honorary Secretary of the Malaysian AIDS Foundation, an alternate Trustee of Reef Check Malaysia, and Chairman of Save Wild Tigers (M) LLP. 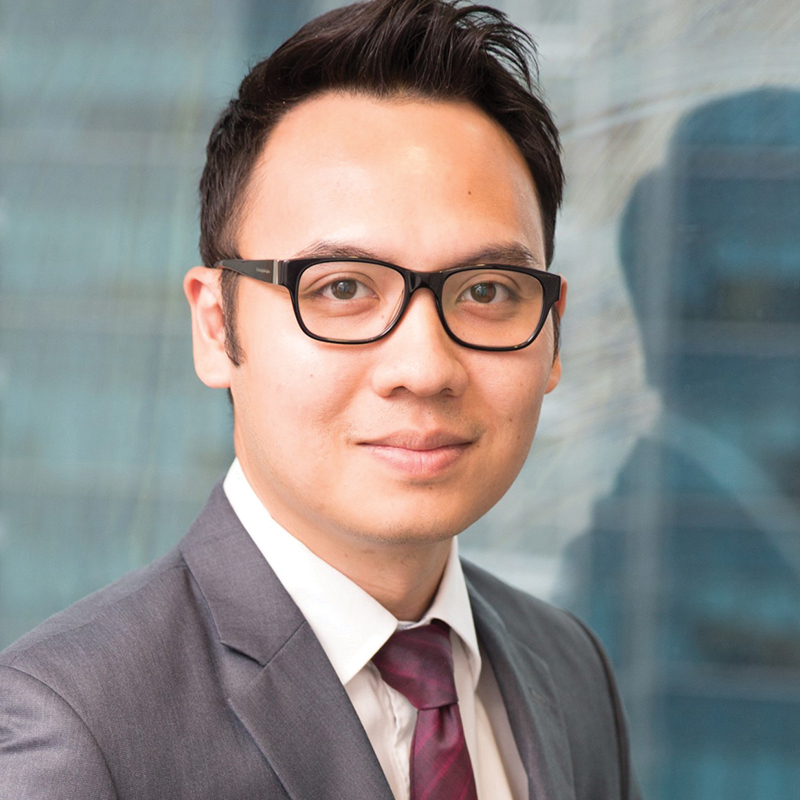 Previously, Ralph worked in investment banking for 15 years with Hoare Govett, Hong Leong and Dresdner Kleinwort Wasserstein. Following that, he moved into manufacturing in 2001 as the Chief Executive Officer of the paper converting factories of Detpak in Indonesia and South Africa, and then Hong Leong Asia in Singapore as Chief Executive Officer for their recycled wood packaging subsidiary, GPac Technology before joining YTL Corp Bhd in Malaysia. Ralph Dixon graduated from the University of Warwick, United Kingdom, with a B.Sc. (hons) in Management Sciences. He also has a Diploma in Mandarin from the National Taiwan Normal University. YTL Corporation Berhad is an integrated infrastructure developer with extensive operations in countries including Malaysia, the United Kingdom, Singapore, Indonesia, Australia, Japan and China. The core businesses of the YTL Group comprise utilities, construction contracting, cement manufacturing, property development and investment, hotel development and management, e-commerce initiatives and internet-based education solutions and services. YTL Corp is amongst the largest companies listed on Bursa Malaysia Securities Berhad (the Kuala Lumpur stock exchange) and is a component of the FTSE Bursa Malaysia Mid 70 Index. YTL Corp has also had a secondary listing on the Tokyo Stock Exchange since 1996 and was the first non-Japanese Asian company to list on the Tokyo exchange. Founded in 1997, TSA is Asia’s leading global sports marketing agency. Marcus is also the Co-Founder of GLORY Sports International, the world No:1 Kickboxing League, and the creator of Branded Real Estate. He recently launched SPORTSFIX in ASEAN, a live and on Demand OTT platform targeted towards today’s generation of sports fans. 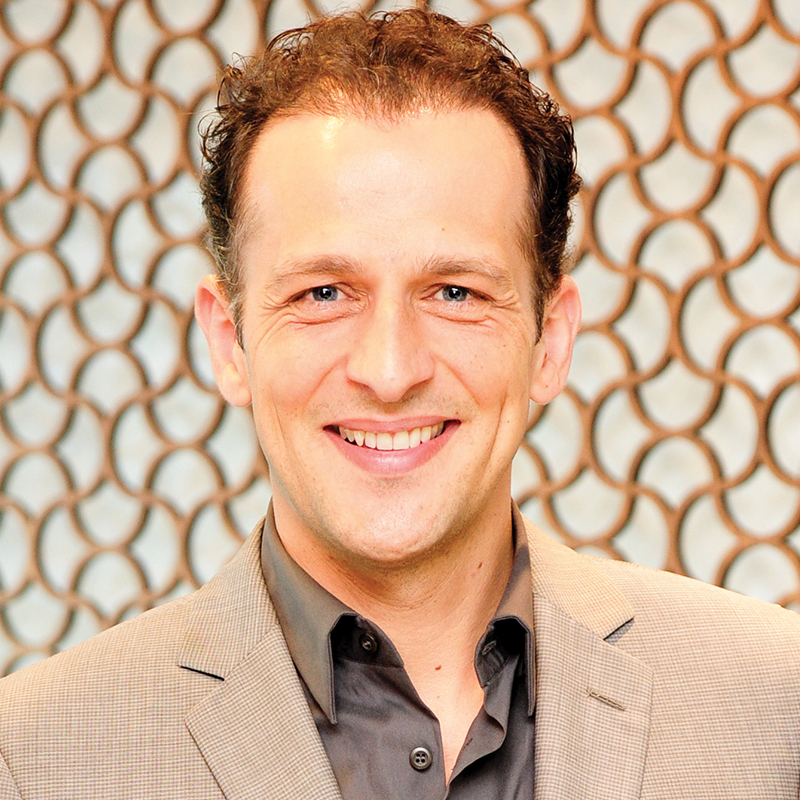 Marcus is a consultant to Rights Holders and multinational corporations and has been featured on CNBC, BBC, Bloomberg Asia and international journals. Sports Business International voted him into the “SBI 200 Team” in 2014. 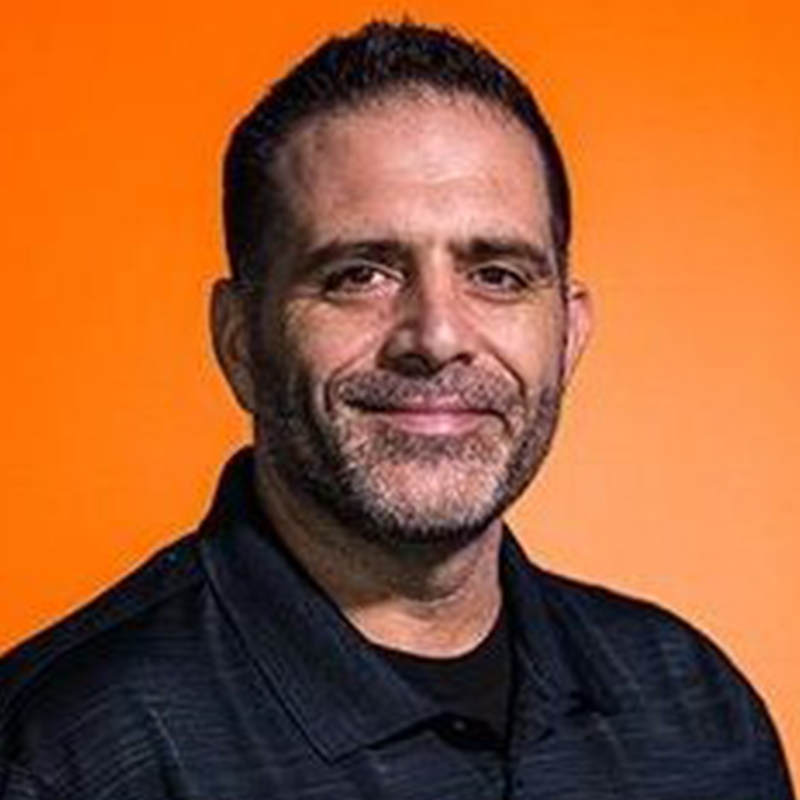 A P&G 30 year veteran, with supply chain and manufacturing experience. Worked across multiple business units and geographies and now based in the UK. Current focus is on surfactant capacity and capability building, and palm sustainability. Enjoys rugby, cricket and keeping fit. Marie is a marketing and brand strategist dedicated to fresh insights, authentic messaging and measurable results in sustainability. Her professional experience spans over 20 years working in the advertising, marketing and design industry in both Chicago and San Francisco, including several years engaged in corporate identity development and brand strategy at Landor Associates. She has consulted with several well-known brands including Bank of America, Visa International, Wells Fargo Bank, Supercuts, Hyundai Motor America, KB Home Corporation, Kaiser Permanente and H&R Block as well as several mission-driven start-ups and software ventures. Her work has focused on creating compelling and innovative brand and marketing platforms, new product development, and engaging franchisees and multiple stakeholders in the retail environment. This dynamic session will unpack the Social Purpose Journey, from the perspective of practitioners who have defined, launched and activated a social purpose for Companies and Brands. Whether you are just starting out or well along your journey, there is something in this session for everyone. From the strategic planning process to a perspective on risk management. This session will also focus on the value proposition and strategies for engaging organizational leaders, employees and customers. It will bring Purpose to the centre and reinstall Sustainability into the core reason of being in business. Chris Oestereich is a zero-waste consultant, writer, and university lecturer. He formerly worked for Albertsons and SuperValu, a nation-wide network of grocery chains. In that work, he designed and implemented zero-waste programs which successfully diverted or avoided over 90% of the waste from over 200 grocery stores and 15 distribution centers. His zero-waste work created millions of dollars in benefits in reduced waste hauling costs and increased recycling revenues for the firm’s bottom-line. 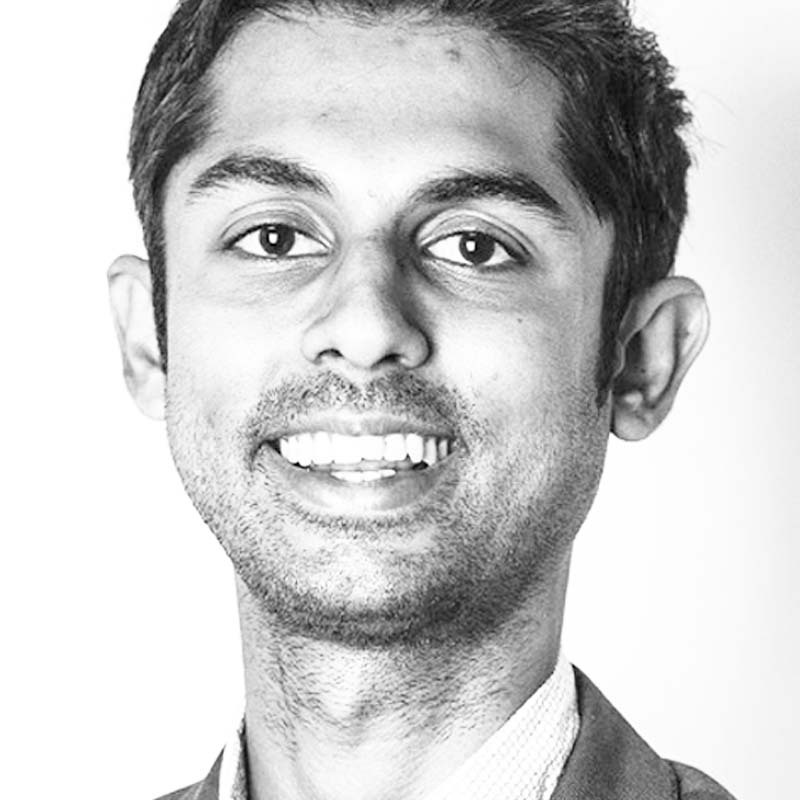 Chris now helps firms analyze their waste streams and designs and initiates programs tailored to create similar financial and environmental benefits through his firm, Linear to Circular. Chris is also the Director of the ASEAN Social Innovation Review as a faculty member of the School of Global Studies at Thammasat University in Bangkok, Thailand, and the publisher of the Wicked Problems Collaborative, an independent press that tackles humanity’s biggest challenges. Linear to Circular helps firms assess and understand the wastes they produce, and plan and implement zero waste programs that improve their performance while minimizing their impacts. having held positions in Planning, Projects, Protection, Customer Service, Marketing, Brand Strategy and International Relations. Ir Shah is a professional engineer certified by Board of Engineers Malaysia (BEM) and Institution of Engineers Malaysia (IEM). He is also a Competent Electrical Engineer (33kV) registered with the Energy Commission of Malaysia. In 2010 Ir Shah obtained the certification as a Green Building Index (GBI) Facilitator. 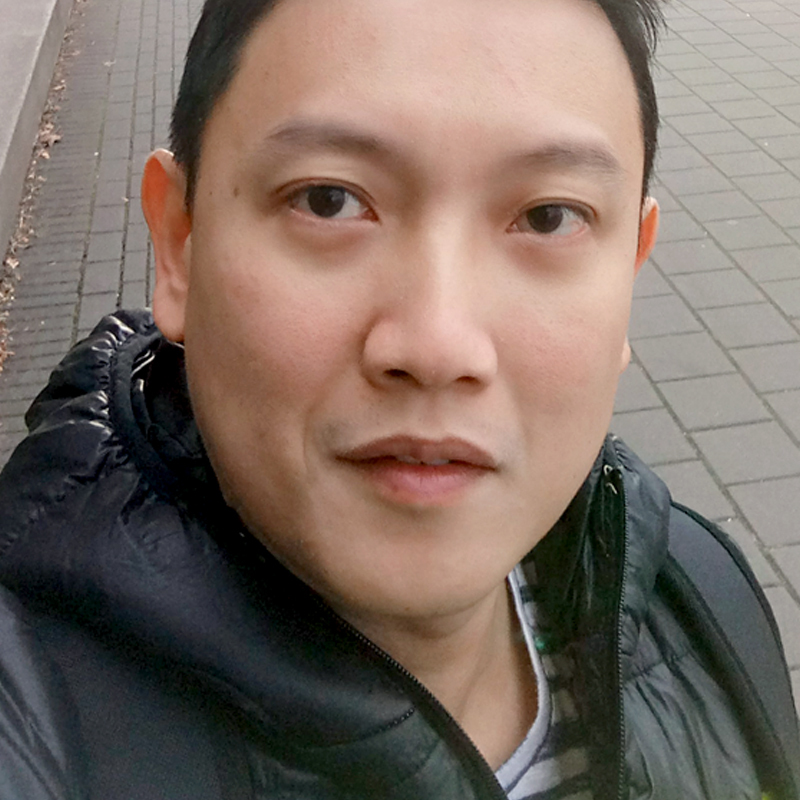 In 2016, he obtained his Masters in Business Administration with Universiti Tenaga Nasional and Melbourne Business School. Innovative partnerships are helping to redefine product stewardship. Learn how brands, manufacturing companies, recyclers and stewardship organisations are working together to deliver innovative resource recovery solutions that include consumer engagement and create a thriving circular economy. Heng Hiap Industries Sdn. Bhd. Junior Chamber International (JCI) awarded Mr. Seah Kian Hoe as one of the honorees for World Award for Ten Outstanding Young Persons (TOYP). JCI is a non-profit organization (NGO) officially partnering with United Nations since 1954. This Ten Outstanding Young Persons (TOYP) of the World Program was developed by Durwood Howes, the President of United States for year 1930 and 1931. Mr. Seah is the founder and Managing Director of Heng Hiap Industries Sdn Bhd (HHI). Formed in 2002, HHI is at the forefront of developing innovative recycling technologies. Conceived and developed locally, the company has rolled out a total of eight breakthrough technologies to-date with eighteen patents filed. One of HHI’s ground-breaking mechanical recycling technologies include transforming plastic scrap into Smart Plastics, which can be used in highly specialized niche applications. Some unique features of Smart Plastics include electric conductive, bio plastics, fast cycle, anti-bacteria, just to name a few. Through Thermal Recycling, the company converts plastics scrap into a New Coal, a substitute with three times calorific value higher than conventional coal. Lastly, HHI also converts plastics scrap to New Oil, an industrial equivalent bio diesel with cetane number of higher than 55. As a pioneer and the founder of HHI, Mr. Seah is a Mechanical Engineer by profession. He obtained his MBA in the American Graduate School of International Business from Thunderbird University, Arizona USA under the Fulbright Research and Development Scholarship in 2000. At present, Mr. Seah is the first SEA representative of the Plastics Committee for Bureau of International Recycling (BIR) based in Belgium. He was also a guest speaker at the recent World Recycling Convention in May 2011 organized by BIR where he talked about the “Innovation Landscape in Recycling Malaysia”. PwC’s Consulting Services Sdn. Bhd. 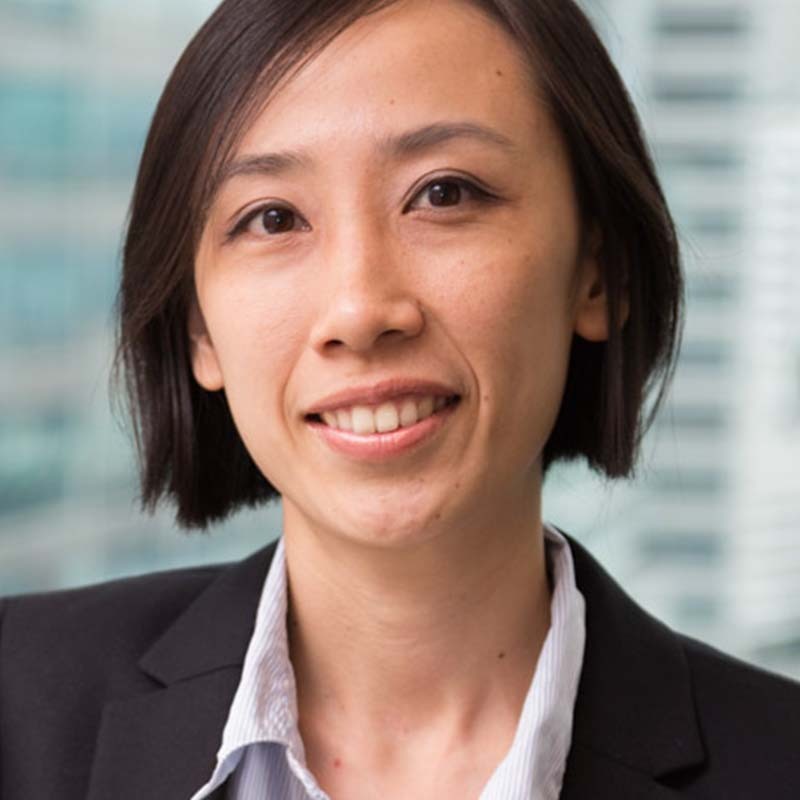 As part of the PwC Malaysia’s Sustainability and Operations team, Redha strives to help corporate and government bodies to drive their sustainability agendas through the development of sustainability strategies, improve sustainability initiatives as well as embed sustainability into operations and its supply chain. Assisting companies with integrated and sustainability reporting and in light of the recent changes in Bursa Malaysia’s listing requirements, Redha has also led various sustainability engagements and facilitated various sustainability focused training sessions with key players in various industries. At PwC, we put strategic thinking at the heart of sustainability, and sustainability at the heart of corporate strategy. Our global sustainability network comprises over 700 practitioners, with over 30 professionals in PwC’s South East Asia Consulting Services team. To date, the team has delivered over 300 engagements in the region. The PwC network functions effectively within and between territories and continents to help solve cross-border issues of concern to our national and multi-national clients, both government bodies and public and private companies. 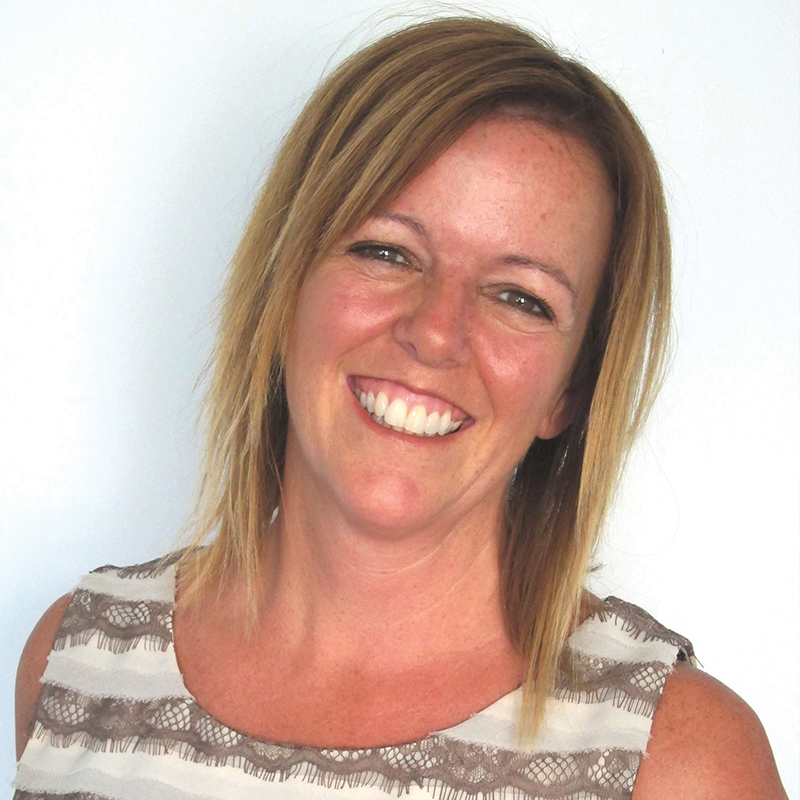 A specialist in research and sustainability communications, Siân is the communications lead at The Purpose Business. Siân’s work unifies PR, media relations, internal communications, brand, digital and social media to inspire sustainable living, improve brand recognition and corporate reputation, strengthen stakeholder engagement and build employee pride. Whether working on local or international initiatives, she helps companies articulate their ambitions and activities for real impact. Her work helped BT secure the accolade of third greenest company in the world. Prior to focusing on sustainability, Siân managed heritage and information programmes at the British Red Cross, Guardian News & Media and BT. The Purpose Business is an exclusive network of sustainability consultants dedicated to helping companies be future-ready and fulfil their potential as responsible businesses. Wherever you are on your sustainability journey, we blend the skills and experience we’ve gained across sectors and industries to give you the bespoke services you need to drive responsible growth in your organisation. Based in Hong Kong, with clients and advisors throughout the region we focus on helping Asian businesses be a force for good – good for society, the environment and your bottom line. 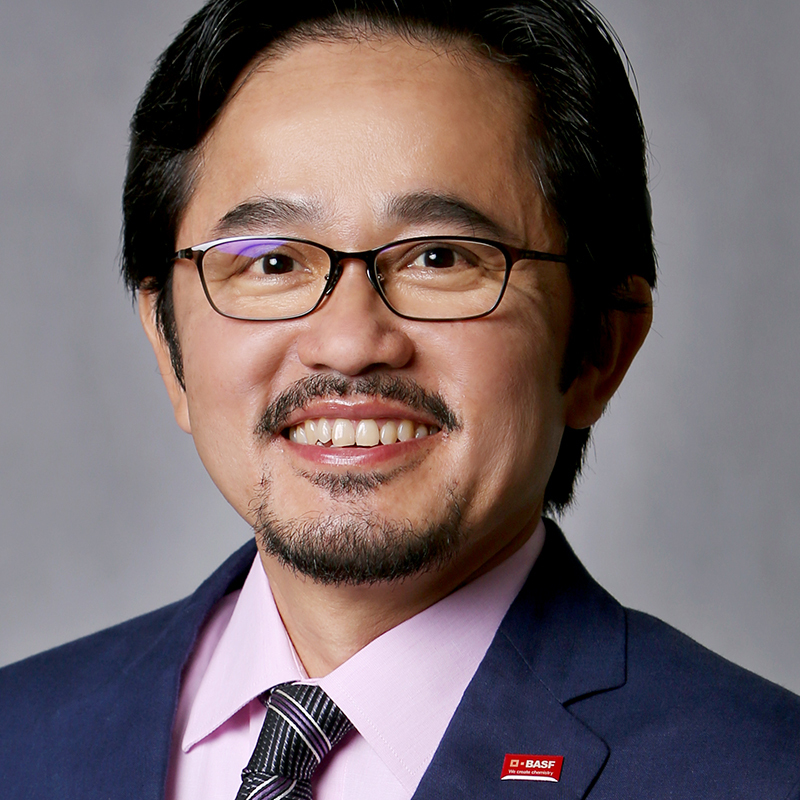 EngLeong Goh is the Managing Director of BASF (Malaysia) Sdn Bhd and is also heading the Malaysia-Singapore Business Area. Goh joined BASF in 1989 and has been in various positions in Malaysia, China, Singapore, Hong Kong, Germany and Taiwan. Before his current role, he was the Managing Director of BASF Taiwan Ltd.
EngLeong Goh was born in 1965 in Malaysia. 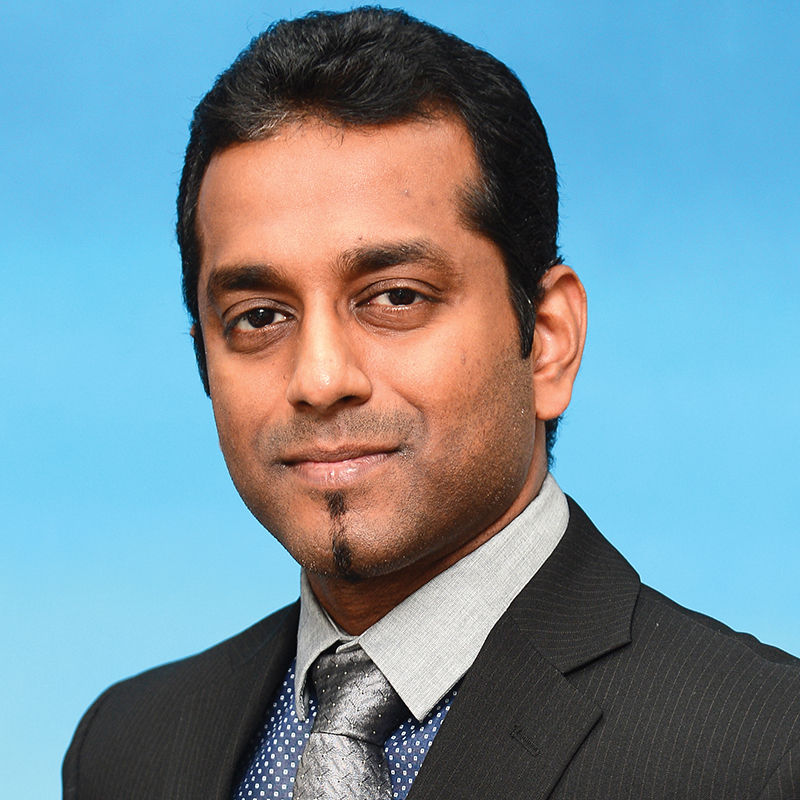 He is an alumnus of Chartered Institute of Marketing in UK and INSEAD. At BASF, we create chemistry for a sustainable future. We combine economic success with environmental protection and social responsibility. The more than 115,000 employees in the BASF Group work on contributing to the success of our customers in nearly all sectors and almost every country in the world. Our portfolio is organized into five segments: Chemicals, Performance Products, Functional Materials & Solutions, Agricultural Solutions and Oil & Gas. BASF Group generated sales of €64.5 billion in 2017 worldwide. 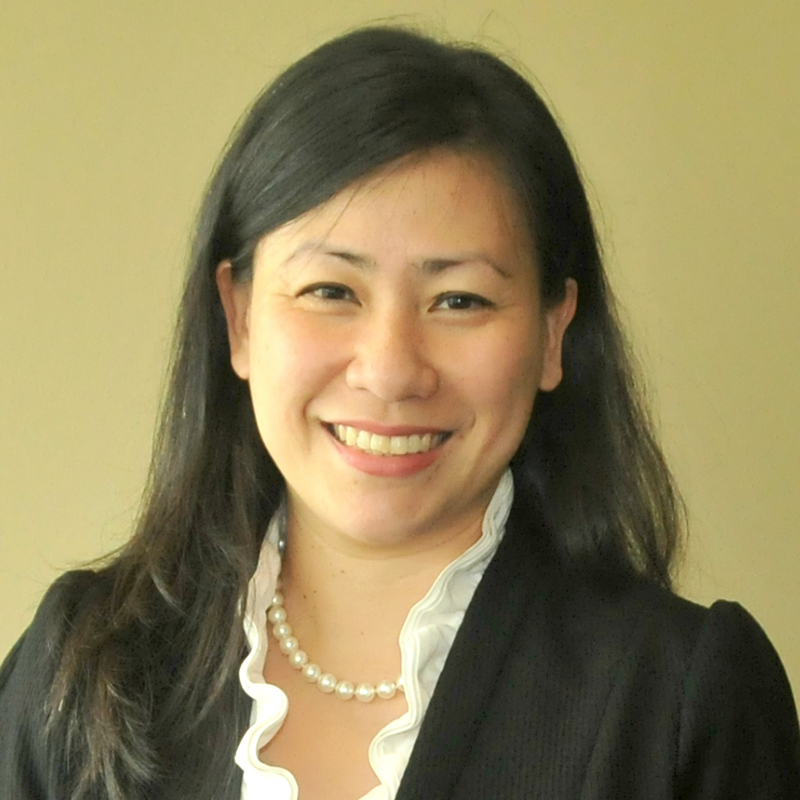 Cheryl is the country leader for the Risk Advisory practices in Malaysia, Cambodia, and Myanmar, as well as the Southeast Asia leader for contract risk compliance. She brings with her 15 years of professional experience covering financial and operational audits, as well as governance, controls and risk assessments. Cheryl regularly works with Boards of Listed Companies on board effectiveness and governance, and was the local partner to initiate sustainability services from the Malaysian office. Her experience also spans a broad range of industry sectors, including infrastructure, healthcare, construction, property development, asset management, and consumer business. She was also the pioneering partner to push for collaboration with international aid agencies in the region. Cheryl also leads Deloitte’s Governance, Regulatory & Risk and Controls, Sustainability, Transformation & Assurance – Internal Audit service lines in Malaysia. In today’s business environment, where organizations are beginning to realize the utmost importance of finding the right balance between financial, social, and environmental priorities, a carefully orchestrated Deloitte Sustainability strategy is vital to long-term success. A Deloitte Sustainability strategy is most effective when aligned and integrated with existing strategic initiatives, and coordinated with an intelligent approach to the related risks and rewards. Deloitte’s Sustainability Team can help with best practice sustainability strategy, risk assessment, reporting and assurance, particularly as it relates to supply chain, environment, health and safety, social impact, and resource management. Deloitte’s approach to sustainability is built on a foundation of deep analytical methods and proprietary tools, and focuses on driving innovation and new business models across key client issues. Sustainability service areas are each supported by a deep understanding of industries and sectors, detailed technical knowledge, a broad complement of time-tested methods and capabilities and contributions to multiple standard-setting and reporting initiatives working to advance transparency. Ying leads Global Counsel’s Asia team from its office in Singapore. She has a background in public policy, and started her career in the British Government where she worked in 10 Downing St under former Prime Minister David Cameron and held a number of roles in the UK Department for International Development, including two years managing UK aid programmes in Uganda. Her work focuses on helping companies to secure a license to operate in new markets. She has led client projects across Asia, Europe and Africa. She was born in Beijing and grew up in the UK. She completed her BA at Corpus Christi College, Oxford and her MA at Yale University. Global Counsel is an advisory firm based in London with offices in Brussels and Singapore. Founded by former European Trade Commissioner Peter Mandelson, the firm works with clients to navigate the critical area between business, politics and policymaking. Global Counsel’s consultants help companies and investors across a wide range of sectors anticipate the ways in which politics, regulation and public policymaking create both risk and opportunity – and to develop and implement strategies to meet these challenges. Current President of UN Global Compact Malaysia. 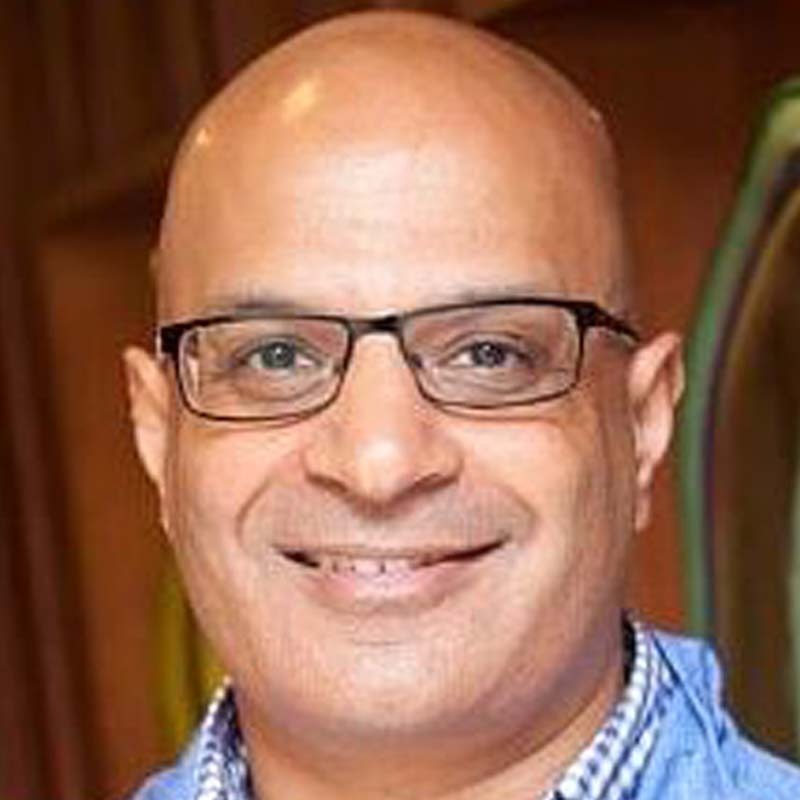 Rashvin is the CEO, and Co-Founder of Biji-biji Initiative which is a pioneering and award winning Social Enterprise that champions sustainability. In 2015, Biji-biji won the coveted SME Innovation Challenge by Alliance Bank, being the first and only Impact Driven Enterprise to win the award. To-date, Biji-biji has worked on a range of impact projects, with the corporate sector, international development agencies, and civil society bodies alike. In 2018, Rashvin and team setup Me.reka, which is an innovative and inclusive education model, designed to build 21st Century mindsets. He is formerly the Secretary of Malaysian Environmental NGO’s and the current President of UN Global Compact Malaysia. Rashvin graduated with an Accounting and Finance degree from Bristol Business School, United Kingdom. Prior to co-founding Biji-biji, he spent 4 years in the corporate world, as a Manager at the Advisory Division of PwC Malaysia. Rashvin’s main areas of passion and focus lies in the fields of education, sustainable development, alternative models to growth economics. We are a community of makers, prototypers, developers and innovators. We are constantly keeping up with the latest developments in sustainability yet at the same time challenging ourselves to stay ahead of the game. We aim to inspire businesses to think and act sustainably, collaboratively and constructively. Let’s move towards a smarter and more responsible future together. Biji-biji Initiative and its subsidiary-Me.reka Makerspace, have business ventures in Ethical Fashion, Creative Building, Interactive Energy Installations, Sustainability Implementations; and runs a 21st century education center. This thought-provoking session will address one of the biggest ‘elephants’ in today’s corporate boardrooms – the question of unprecedented levels of consumption of material goods around the world. The World Resources Institute has thoroughly researched the threats of growing consumption as well as the innovative business model that works in a resource-constrained world in an effort to imagine a future economy that supports human development, environmental stewardship and business success. Discover the magnitude of the challenges/opportunities, and hear about innovative solutions that will see future markets thrive without the need to sell more stuff to more people in perpetuity. Jessica is the Managing Editor of Eco-Business, an award-winning journalist, TV presenter, director, producer, and a social entrepreneur. 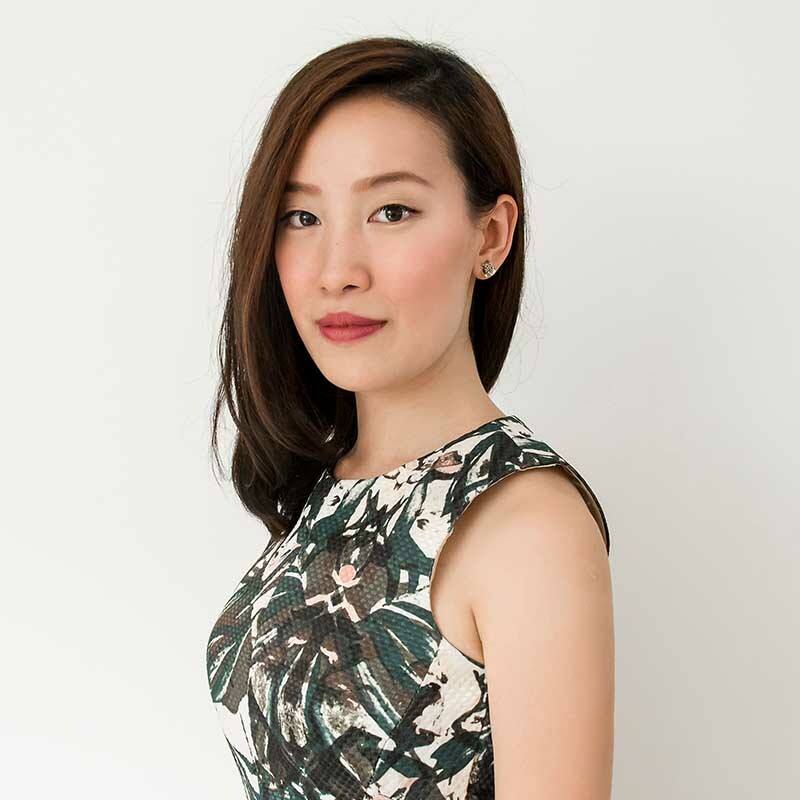 She has more than a decade of experience in journalism with a particular expertise in sustainable development, and is also a columnist for The Straits Times where she was formerly the political and environment correspondent. 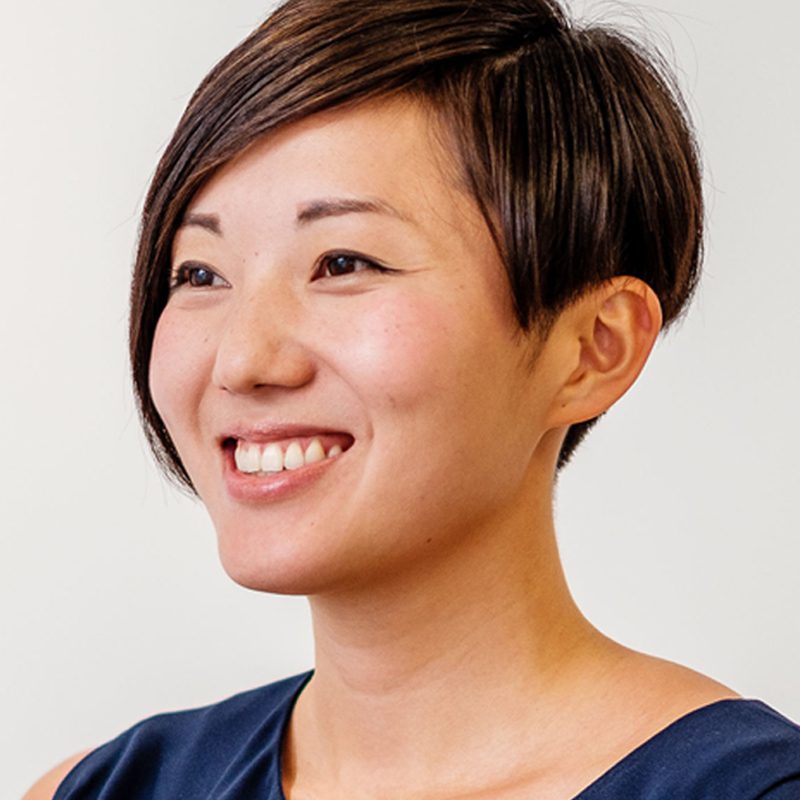 She is an adjunct research associate for the Centre for Liveable Cities, a Singapore think tank focused on creating and sharing knowledge on liveable and sustainable cities. She presented an episode, Confronting Climate Change, in the Challenge Tomorrow series by Channel NewsAsia, a Singapore-headquartered English language Asian TV News channel which aired in March 2017. She also leads Eco-Business’s multimedia unit in directing and producing short documentaries on sustainability issues. She studied at the University of Warwick and University of London’s Goldsmiths College, and has written for London-based publications such as The Independent, The Times and The Ecologist. She is the winner of many journalism awards, including the Earth Journalism Awards at the UN climate change meeting in Copenhagen in 2009, Young Journalist of the Year by Singapore Press Holdings in 2010, and the Asean Green Technology Journalism Award in 2011. She also has a merit award for the environmental leadership category from the Ten Outstanding Young Persons awards by JCI Singapore. She founded Eco-Business in 2009 with a vision to provide a platform for the region to discuss and advance sustainability issues. 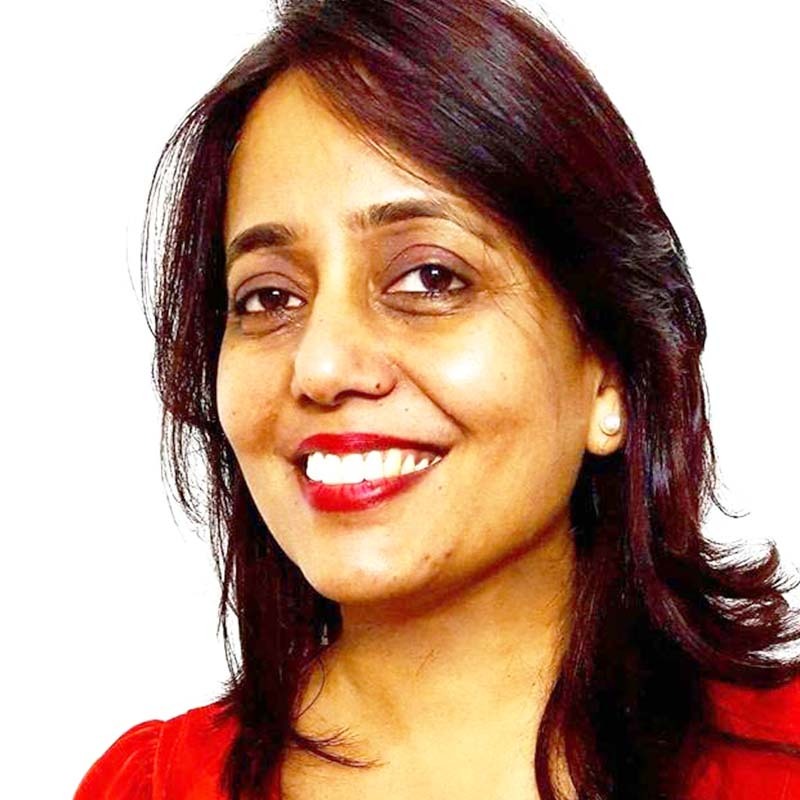 Under her leadership, Eco-Business beat other media giants to clinch the Lee Foundation Excellence in Environmental Reporting by a Media Organisation Merit Award at the Asian Environmental Journalism Awards (AEJA) 2013. In 2015, Jessica was given the AEJA’s Sustained Environmental Reporting by a Journalist Award for her efforts in contributing to environmental journalism over the last decade. She is the published author of ‘Forging a Greener Tomorrow: Singapore’s journey from slum to eco-city’. Jessica is an associate member of the Singapore Institute of Directors, serves as strategic advisor to Blue Planet Environmental Solutions, and is also currently chairing the Climate Action SG Alliance – a new initiative supported by the Ministry of Environment and Water Resources to advocate climate action and raise public awareness on climate issues. Jessica’s passion is in advocating sustainable development and gender equality. She is frequently invited to speak at events and moderate discussions across the globe on her areas of expertise. She also has a keen interest in photojournalism and documentary film-making. In 2017, she won an award which took her on the ClimateForce 2018 expedition in Antarctica in Feb-Mar 2018. She is making another documentary with Channel News Asia on this journey and launched a film and photography exhibition called Changing Course this June 2018 held at the Singapore Botanic Gardens. 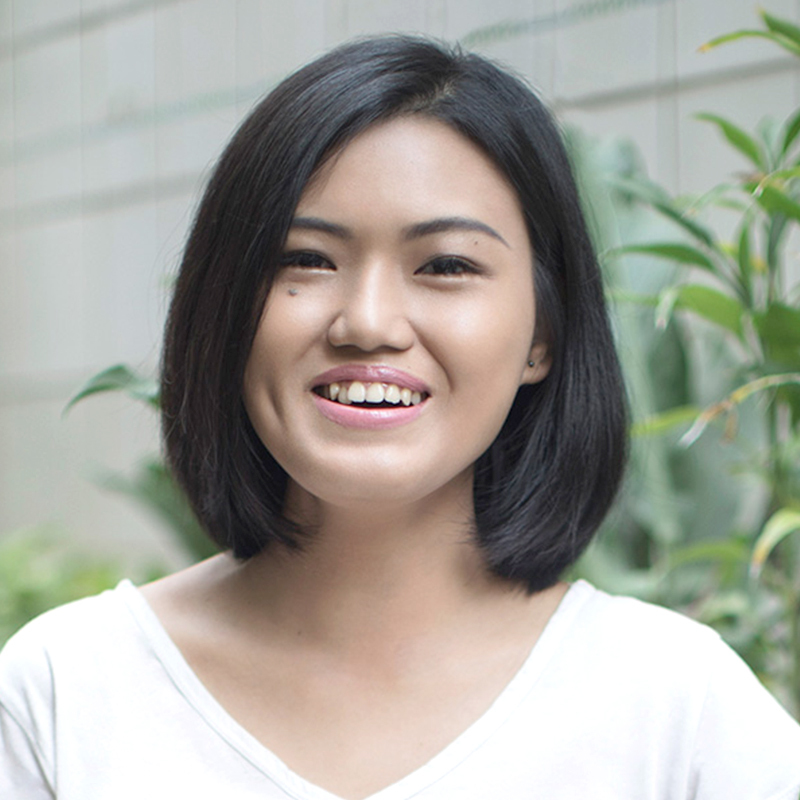 In March 2018, she was announced the winner of the Women of the Future Southeast Asia Awards for the media and communications category. She was also announced as one of LinkedIn’s Power Profiles for Singapore for 2018. Dr Adrian Choo is the Chairman of FSC-Malaysia and the Responsible Forestry Manager at WWF-Malaysia. He completed his Ph.D. and undergraduate studies at Universiti Putra Malaysia (UPM). Adrian began his career as a researcher at UPM and his research were in the areas of bio-composite technology, wood-water relationship, and wood technology. He has authored and co-authored numerous scientific papers, as well as chapters in books. He is the inventor of several patents and a copyright. Currently, Dr. Adrian is working on promoting how sustainable forest management can assist conservation efforts. He believes that the Earth needs us to save it from us. The Forest Stewardship Council (FSC), is a global not-for-profit organisation dedicated to promoting responsible forest management around the world. Founded in 1994, FSC remains the world’s premier and most respected forest certification scheme, providing assurance for the responsible management of all forest products. FSC is governed through its global membership with members from social, environmental and economic backgrounds. Together, these three chambers make consensus decisions about FSC’s certification scheme and its governance. FSC Malaysia was officially launched in November 2014. To date, there are over 755,000 hectares of Malaysian forests from 13 Forest Managements certified to FSC’s standards, together with over 180 Chain of Custody certificates. FORESTS - A RENEWABLE RESOURCE? Communications Strategist with a blend of Science & Arts, keeps empathy at the core, embraces evolutionary media and passionately pursues sustainability. Anju has worked in diverse industries including NGOs, Biotech/Healthcare businesses, across India & US. She believes that sustainable lifestyle is exigent, and marketers have huge potential to impact communities positively. The communication should be based on science; Simplified and well-crafted into engaging pieces for mass absorption. Humor comes handy with that! She was a part of Nationwide ‘Grow Safe Food’ campaign and Science Express- Climate Action Special in India. She consults, speaks at business/environment forums, writes and does cartoons. TRY for Good (TFG) is an initiative conceptualized to bridge gap between Science, Arts and possible actions for sustainability, by raising awareness in sellers and consumers. Focused on people and planet wellness, it chiefly aligns around the UN SDG goals of Responsible consumption, productivity and building sustainable communities through minimizing inequality. It strives to achieve this through communications and outreach programs for organizations. Riding on Science, traditional wisdom, combined with Arts and Humor it also does many youth engaging activities. 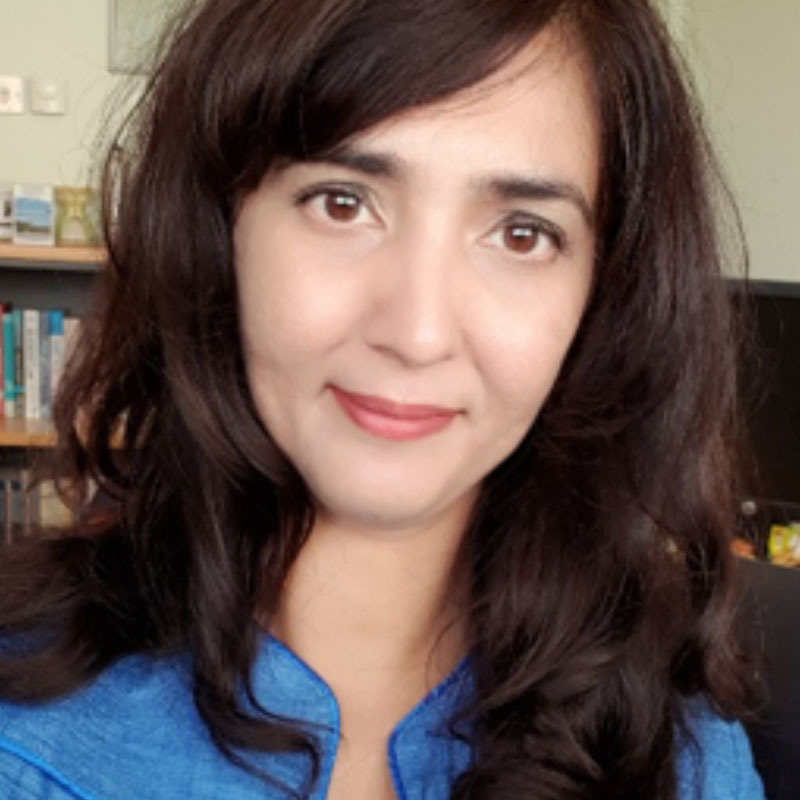 Denise currently leads the Sustainable Markets Programme (SMP) in WWF-Malaysia which addresses the adoption of sustainable commitments by corporations. She spearheads the direction of the programme and the strategies that drive sustainable consumption among plantations, manufacturers and consumers. This programme includes stakeholder engagement within the palm oil, timber, paper, pulp, and rubber industries in Malaysia. Prior to her engagement with WWF-Malaysia, she was attached with the Australian Trade Commission and the Government of Canada. 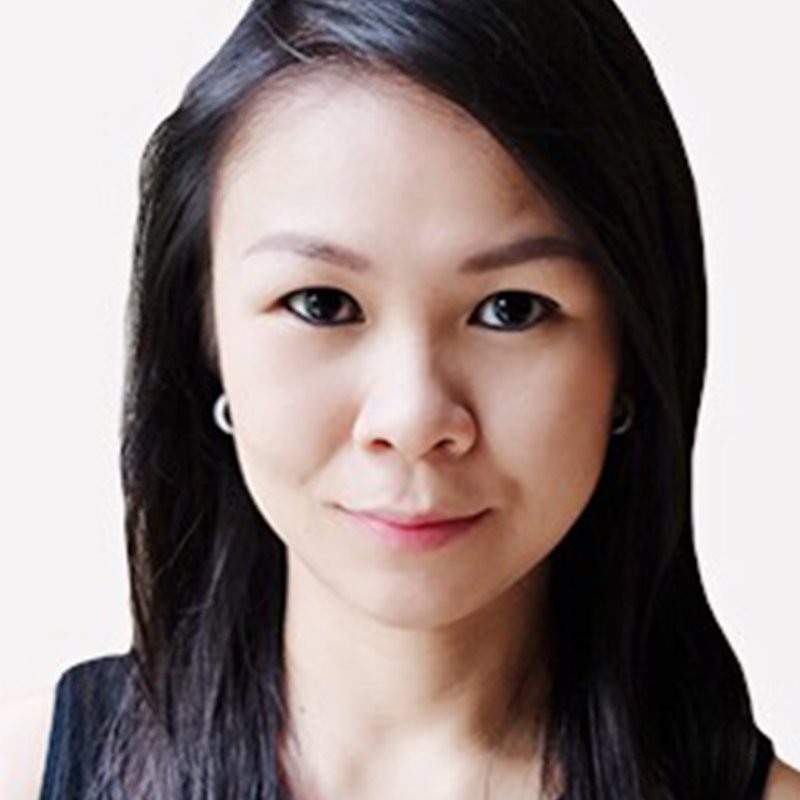 Denise holds an Electrical Engineering Degree, majoring in Power Generation, from Universiti Teknologi Malaysia, Johor and a Master’s degree in International Business from Monash University. WWF-Malaysia (World Wide Fund for Nature-Malaysia) was established in Malaysia in 1972. It currently runs more than 90 projects covering a diverse range of environmental conservation and protection work, from saving endangered species to protecting our highland forests, rivers and seas. WWF-Malaysia also undertakes environmental education and advocacy work to achieve its conservation goals. Its mission is to stop the degradation of the earth’s natural environment and to build a future in which humans live in harmony with nature, ensuring that the use of renewable natural resources is sustainable, and promoting the reduction of pollution and wasteful consumption. Social entrepreneur passionate about health, wellness, environment, spirituality, and community building. Helga started Burgreens – Jakarta’s first organic healthy fast food with a social mission – back in 2013 with the mission of promoting conscious eating; and practicing ethical business through responsible sourcing directly from local organic farmers & serving plant-based meals which are ethical for animals & more environmentally sustainable. What started as a small restaurant run by 2 passionate founders have now grown to a team of 80+ people with 4 F&B outlets and growing. Aside from running BURGREENS – Helga works closely with fellow impact businesses, NGOs, and communities to raise awareness about healthy, ethical, and sustainable living among urbanites while growing the ecosystem of social impact enterprises and conscious customers. Burgreens is a manifestation of a conscious eating movement which believes that what we eat directly impacts our health, animal & farmers’ welfare, and environmental sustainability. Burgreens was started in November 2013, with very humble beginnings, by a young vegetarian couple – Max & Helga – who are passionate about making healthy, ethical, and sustainable lifestyle mainstream in their hometown; while testing a social enterprise model that marries positive social impact and financial sustainability. What started as Jakarta’s first organic healthy plant-based eatery & catering – has now grown into a community-based social business connecting local farmers, a passionate team, and conscious customers. Since the very beginning, our mission is to make healthy, ethical, and sustainable food as delicious, fun, convenient, and accessible as junk food – while empowering local farmers and women through a responsible supply chain! 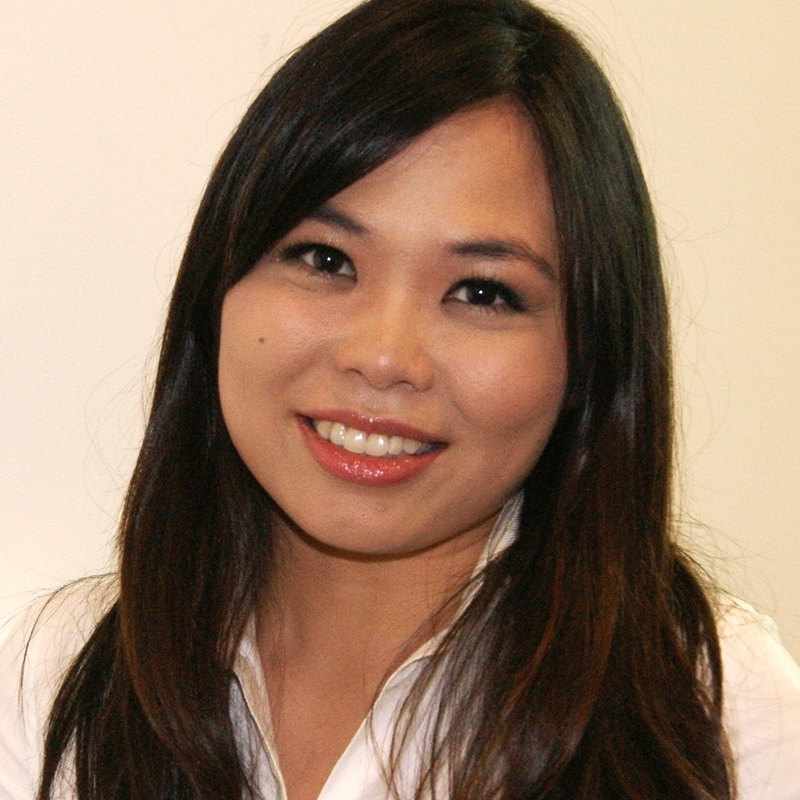 Elaine leads Sustainability Reporting services in PwC’s South East Asian Consulting Services practice. She has worked on over 60 client engagements on sustainability and climate change strategy, reporting and assurance. She is a nominated Global Reporting Initiative (GRI) trainer. Managed the development of an environment & social (E&S) disclosure guide for an international finance organisation and conducted training sessions in Vietnam to over 200 public listed companies on the disclosure of the environment & social (E&S) indicators. Workstream lead on an engagement to rationalise and refocus the client’s corporate social investments. The client received insights on the relationship between their investments and the impact of initiatives to enable them to focus their existing efforts. A new strategy and structure to organise the client’s corporate social investments was created. Reviewed companies’ Dow Jones Sustainability Index (DJSI) and Carbon Disclosure Project (CDP) disclosures and provide recommendations to improve scoring. Managed an engagement to develop a global carbon inventory baseline for a multinational conglomerate to establish a carbon reporting process for the client’s sustainability reporting needs. The project led to the identification of strategic emissions reduction opportunities and a carbon reduction roadmap. Helped various organisations comply with Bursa listing requirements on sustainability as well as GRI Standards and GRI G4 requirements. Prior to joining PwC, she brings with her working experience in climate change, energy and environmental consulting for clients in various industries. She also led the development of greenhouse gas inventories for clients from various industries in accordance with the Greenhouse Gas Protocol and ISO 14064. At PwC, we put strategic thinking at the heart of sustainability, and sustainability at the heart of corporate strategy. Our global sustainability network comprises over 700 practitioners, with over 30 professionals in PwC’s South East Asia Consulting Services team. The School of Business is the largest school at Monash University Malaysia with enrolment numbers in excess of 2,500 students. The School is structured into 6 disciplines; Accounting & Finance, Business Law & Taxation, Economics, Econometrics & Business Statistics, Management and Marketing. The School is internationally accredited by the Association to Advance Collegiate Schools of Business (AACSB) and is an advanced signatory member of the Principles for Responsible Management Education (PRME) which is an initiative by UN Global Compact. The mission of the School is to have a meaningful impact on the way business is conducted in Asia through high quality research, educational excellence, and extensive engagement with industry and the community. The vision of the School is to be recognised as an innovative, entrepreneurial and culturally diverse Business School focused on delivering excellence in research, learning and teaching through a process of creating developmental opportunities for our (local, global and regional) stakeholders.